Too Busy to Take a Vacation? The Cost May Surprise You. Personal Loans > Resources > Major Expenses > Travel & Hobbies > Too Busy to Take a Vacation? The Cost May Surprise You. But is “not” taking all your vacation days really such a bad thing? When you look at it from a financial standpoint and a family viewpoint, you might be giving up more than you think. Losing such a chunk of benefits can feel bad when you look at the numbers. 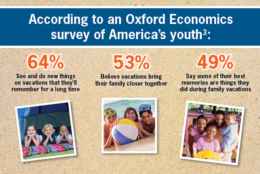 But when you look at vacation through the eyes of children, you may very well vow to take every single vacation day available in the coming year. When you add up the financial loss of not taking vacation days and the missed opportunity for family memories, taking advantage of your paid vacation years might become an even higher priority. Now you’re determined to use your vacation time. But where should you go? But what if you haven’t been saving for a vacation? When you’re spending time relaxing with the ones you love, it’s hard to put a price on vacation time. But just how much does the average vacation cost? A recent survey found that it cost about $4,000 for an average family of four to go on vacation5. Of course, costs can vary widely depending on vacation location and the level of luxury you choose. That can be a significant expense – especially if your current budget means putting vacation expenses on a higher-interest credit card. But you also have another option that can help you take a vacation to remember – while you save money at the same time. Vacation loans from lenders like Discover Personal Loans could give you the advantage of lower fixed rates which could help you pay less money in interest. 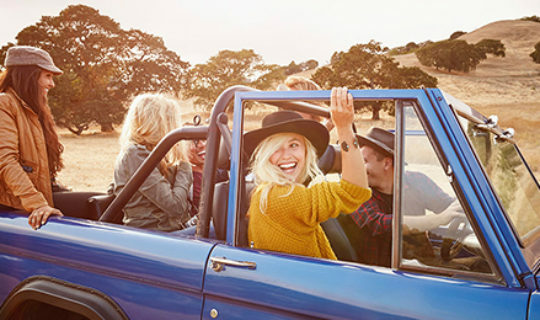 Plus, flexible payment timelines help you customize your vacation loan to your current budget – so you can hit the road without worrying about how much everything will cost. Making the most of your vacation days makes sense – from a financial perspective and in the eyes of the ones you love. And even if you haven’t been saving for a big vacation, you can still treat your family to a memorable vacation … thanks to the lower interest rates and flexibility you could get through a vacation loan.